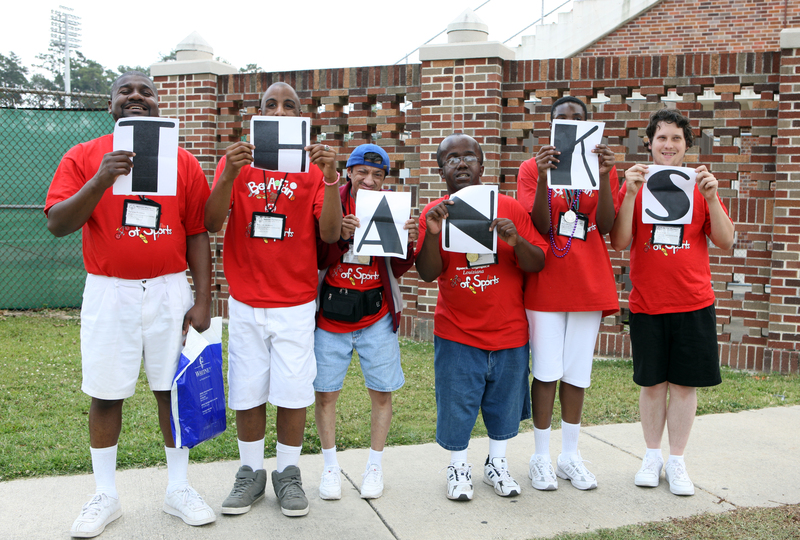 Since yesterday was Thanksgiving, we wanted to know what you are thankful for… Leave us a comment and tell us! We hope all of you had a happy and safe Thanksgiving! Happy Thanksgiving! We are thankful for all of our supporters, volunteers, coaches, families and most importantly our athletes! On Tuesday, December 3rd, the United Nations will celebrate International Day of Persons with Disabilities.” The Theme is, “break barriers, open doors: for an inclusive society for all.” This day is a great day to talk with others about Project Unify. How ill you spend this day? Learn more here. Amazon.com has launched a new initiative called Amazon Smile, which allows you to support your favorite charity with every purchase online. When you go to smile.amazon.com it will ask you to login to your amazon account and then choose your favorite charity organization. 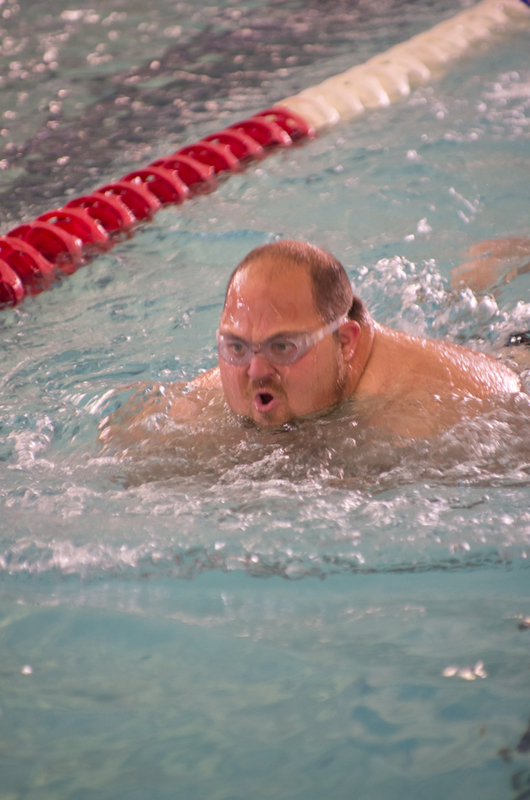 If you type in Special Olympics and search, a number of options will pop up including “Special Olympics Inc” and a number of state Programs that you can choose to support. Once you have selected your charity, it automatically adds it to your profile and EVERY purchase you make sends 0.5% of that purchase to your charity. Just in time for the holidays – check it out today and support our athletes all year long! Jed Collins Joins our Team! 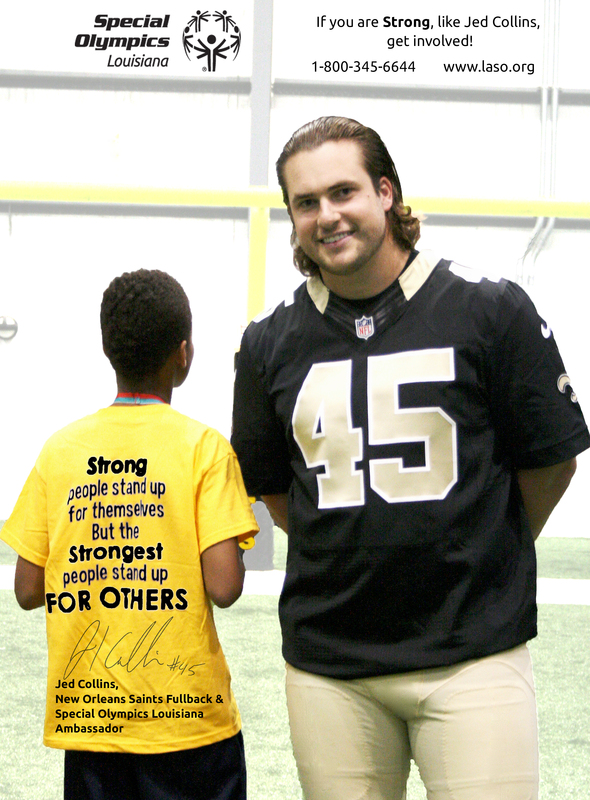 The New Orleans Saints Fullback, Jed Collins, has been announced as the Special Olympics Louisiana Ambassador! 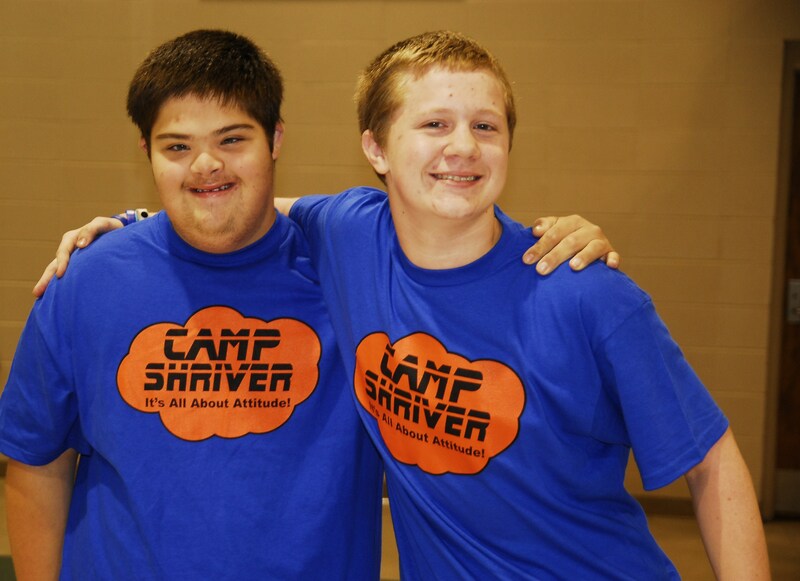 Jed has been volunteering for Special Olympics for over a year and now has the responsibility of promoting inclusion and respect for athletes with intellectual disabilities. He said, “Being a member of the New Orleans Saints family for the last year has been incredible for me and now getting to be a part of things like this and give back a little bit means even more.” We are very excited to welcome him to our team! A Night with the Pelicans! On Friday December 27th, the New Orleans Pelicans take on the Denver Nuggets! 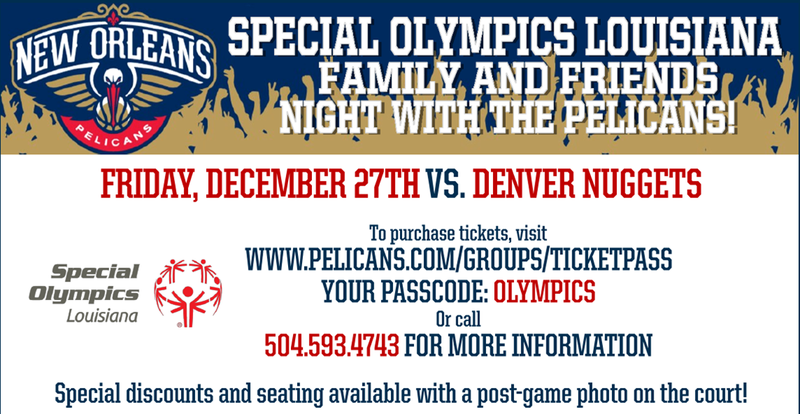 Special Olympics Louisiana will be there hosting a Family and Friends Night with the Pelicans and you can have a photo taken on the court after the game. Tickets are available now!